The Versapulley Portable is a compact and lighter version of the standard Versapulley making it ideal for use in any situation, from the rugby pitch to the beach. It works in the same way as the standard Versapulley, and is just as simple to use. Weighing only 60lbs, it can produce up to 400lbs of explosive force resistance. It is easily transported, offering sport-specific and multi- directional training. 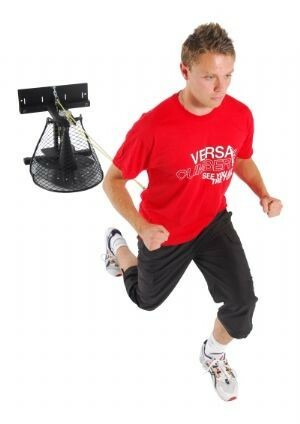 The Versapulley Portable has four settings, allowing the user to customise the speed to force ratio of movement.